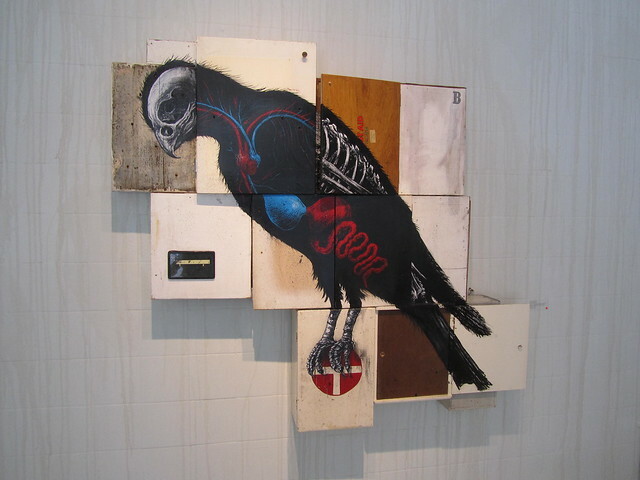 There seems to be a growing trend for graffiti artists to make their way into galleries. I’ve seen a few exhibitions of street artists’ work in galleries recently, and still remain unsure as to whether or not I like it. In the case of the two artists I’m going to mention below, both are artists whose work I respect. Both work to large-scale and, for me, part of the joy in seeing their work is thinking “how on earth did they get away with that?”. 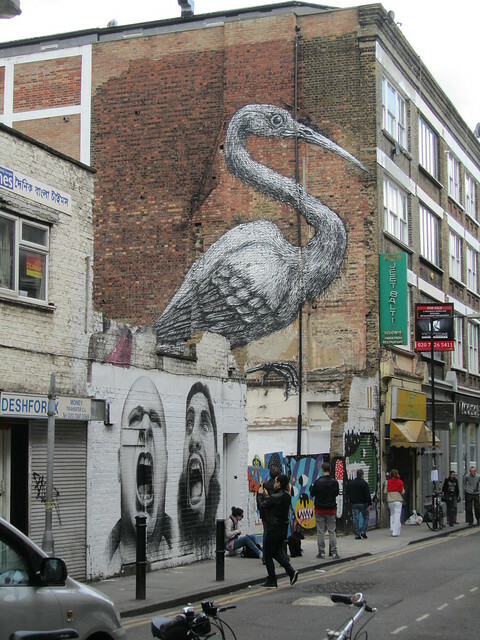 Street art isn’t always about the most intricate detail or mastered technique – sometimes it’s about the time and place. I’ll start with Stik. 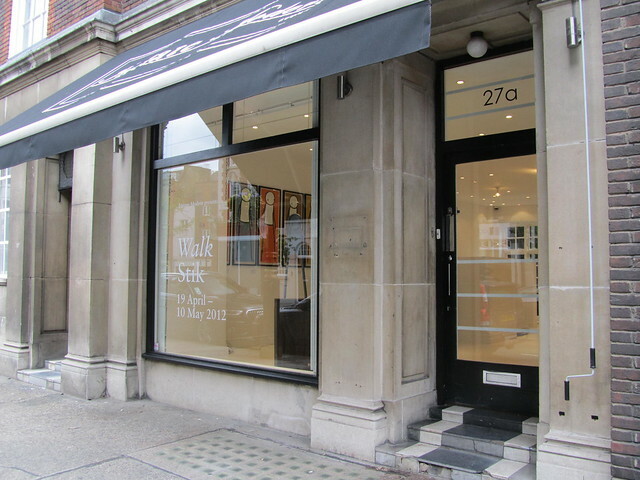 ‘Walk’ by Stik was an exhibition at the Imitate Modern in London which was held from 19th April – 10th May. 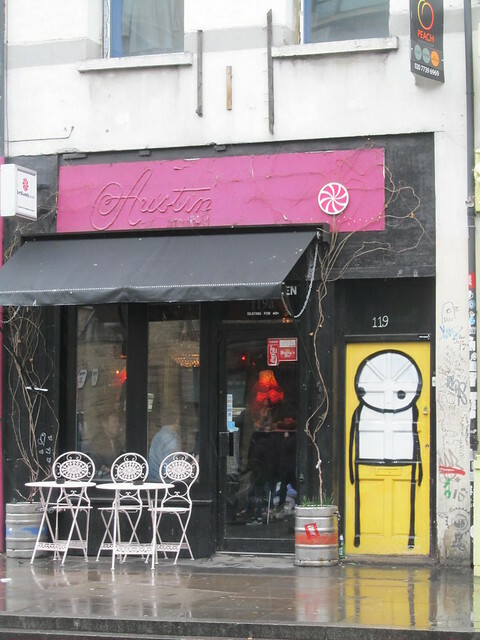 Stik usually paints on walls and doors around London, and is famous for his simple stick man character and brightly coloured backgrounds. His work which was on display in the gallery was similar, but for me it lacked something. 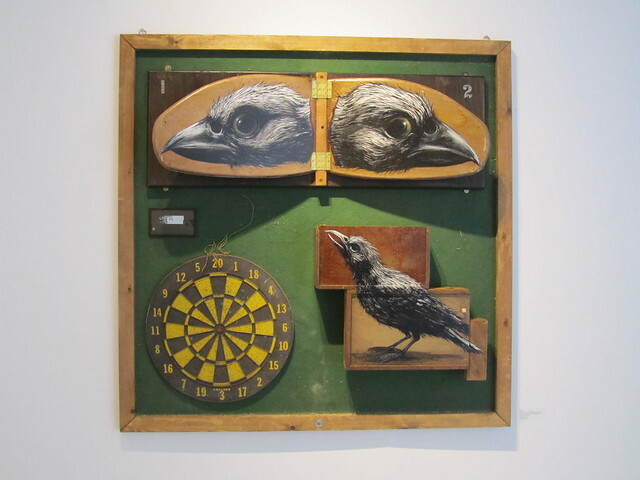 The character was the same, and the playfulness was certainly there, but the atmosphere of the gallery and the fact that these pieces were now considered pieces of art to be bought and sold, altered my impression of the work. 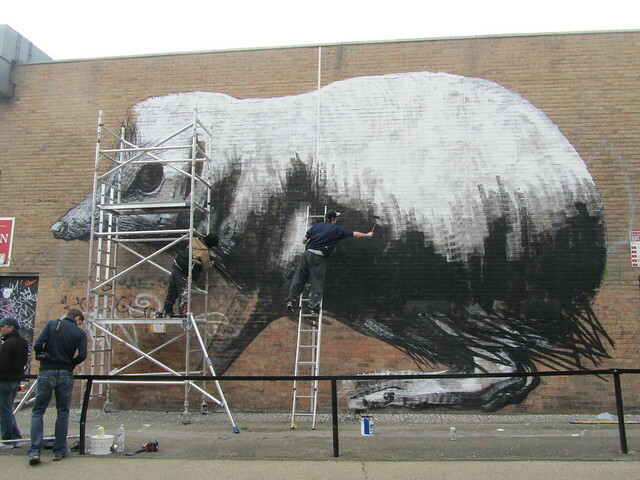 Moving on to another artist, let’s look at ROA. 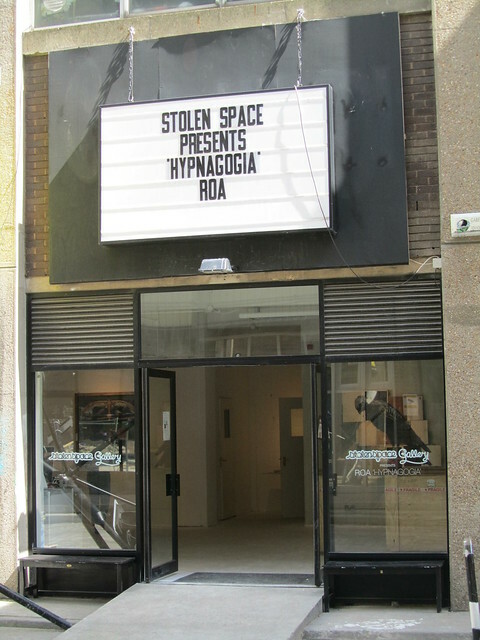 ROA’s exhibition ‘Hypnagogia’ was on at the StolenSpace Gallery in London from 20th April – 6th May. The exhibition consisted of pieces which the viewer was encouraged to touch and move. I liked this, but I found his work much less interesting than I had hoped. The scale was, naturally, much smaller, but I found the quality lacking in these imaginative yet macabre pieces. So, I’m still not sure what I think of graffiti artists presenting their work in gallery spaces. In a way, I think I prefer to see their work on the streets. I like the excitement of ‘discovering’ a new piece when I’m walking around Shoreditch, and that excitement is somewhat taken away when the work is in a gallery constrained by four walls. Another thing I like about the work on the streets is that it has this element of roughness about it. 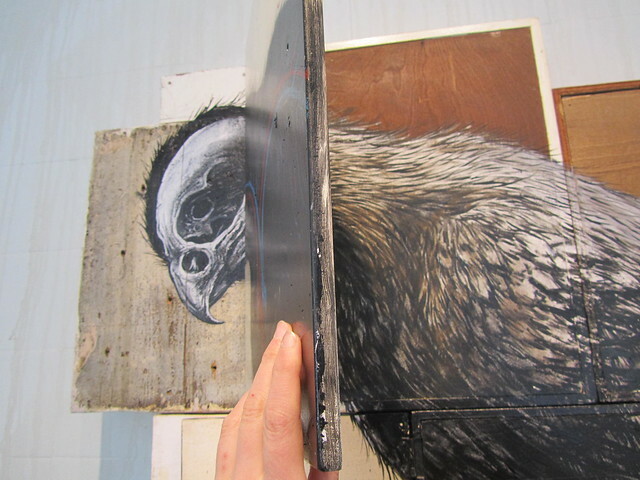 Often these pieces are illegal, and the artist has to rush a bit to get it finished before being caught. The pieces displayed in galleries are 100% legal, and that takes a bit of the fun away, doesn’t it? Also, the rough surfaces that graffiti artists often paint on bring something to the pieces – whether it’s a wall, a door, or something else, it becomes part of the art. 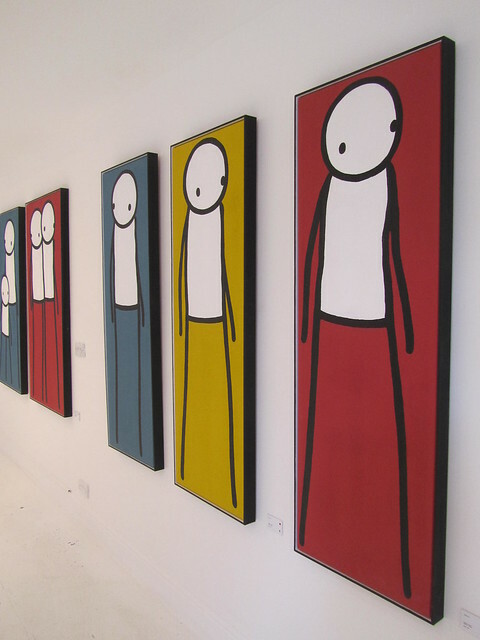 In the case of Stik’s work, the smooth canvases almost ruin the piece for me. ROA has obviously tried to keep some of the roughness, but I’m not convinced it works. Have your say below, and don’t forget to leave a comment in the comments section! I have been getting similar feelings about street art in galleries lately but I am like James, perhaps, I’m a little torn. 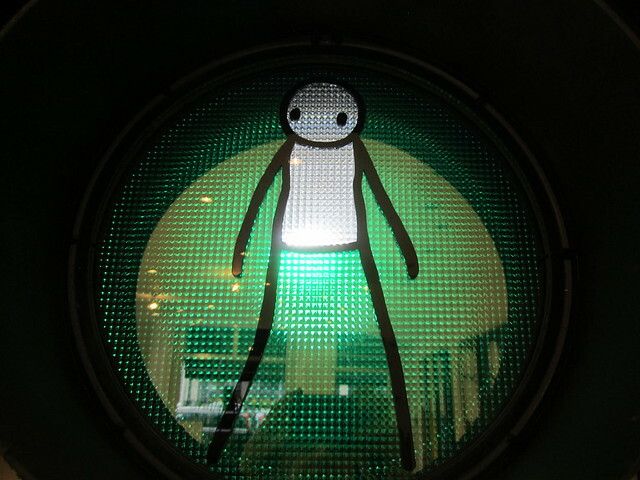 Unbelievably, I bumped into STIK on the street outside my house in SE London and chatted with him for a short while. He was a really lovely guy, smart and very friendly. I imagine the support from Dulwich Picture Gallery and Imitate Modern does him a lot of good; financially but also from an exposure point of view. I can’t really blame street artists for following whatever path they uncover, whatever it takes to help them to make a proper living off their skill and passion. I agree that the textures from the streets, the context and pressure definitely add something to the work. 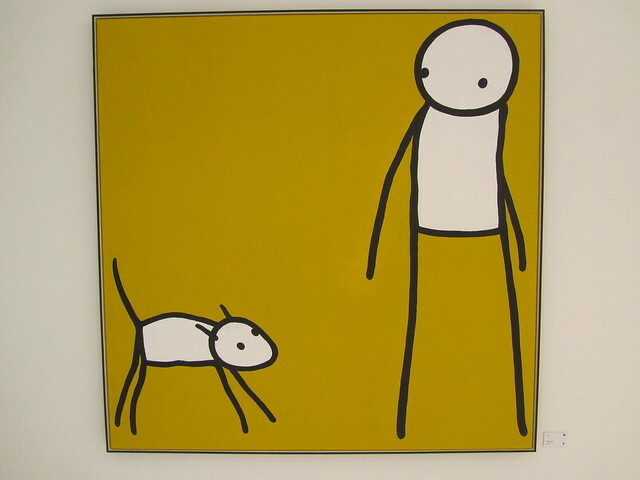 STIK actually mentioned that there is a 100% Illegal Art Exhibition currently in the making in London, so keep your eyes peeled!